PHD is a one among the highest level of education standard. An individual willing to pursue PHD program would actually require having the minimum qualification of Master degree. If you wish to pursue PhD courses in India, It is important to have a look at the eligibility criteria and proceed with the same. 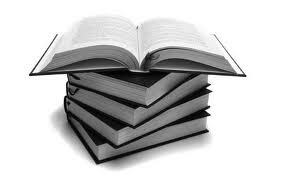 A student willing to pursue PhD program have to have Master degree in particular subject. For example, a student having Graduation and post graduation in chemistry can easily go for PhD in chemistry. The eligibility criteria for PhD courses in India can also vary from one organization to another. The reputed organization would wish to avail. Eligibility criteria would also include pre PhD course work. This would include different type of research methodologies in the particular subject in which PhD is going to take place. Since PhD is the highest level of education standard, the candidate having passed the fellowship program will be actually very talented. In every spheres of education, PhD have a great importance. People who have been awarded with PhD degree can write Dr before his or her name. Thus, it is also regarded not less than a doctor. A wonderful career prospect can be viewed for all those having a PhD degree. You can now have a look at PhD courses in India and start trying your way to get enrolment. You can start your career as a professor in college and universities and teach the students about your subject and researches. Apart from this, you can work in a research lab as a junior scientist at an initial stage and there after go for a senior level. You can also set up your own research lab after gaining experiences.